We invite you to share in 4 days of award-winning films to honor the contributions of Native Americans. The Pocahontas Reframed Storytellers Film Festival stems from a passion and desire for indigenous languages, cultures, and societies to thrive. The Festival strives to bring together artists, authors, filmmakers, and actors willing to share, teach, and explain their creativity and history. 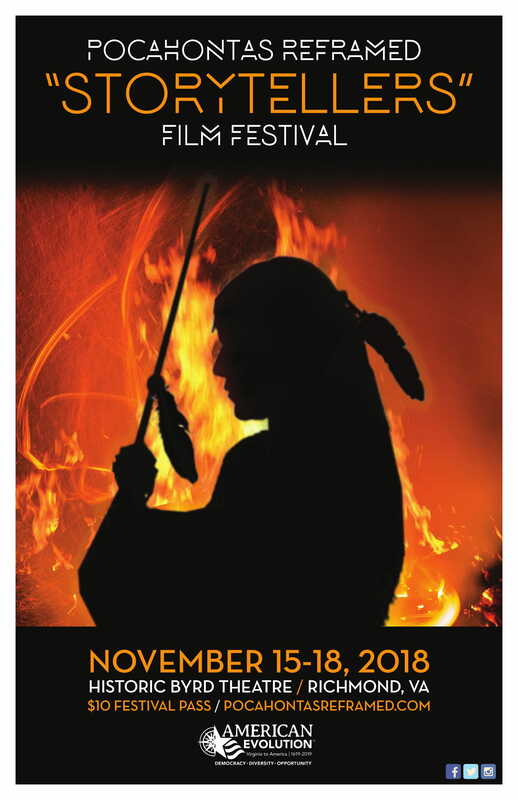 The Festival includes Native American-affiliated classic and recently released films that have been official selections of world-renowned festivals including the Sundance Film Festival, the South by Southwest Film Festival, and the Toronto International Film Festival. Join the commemoration in honoring Native American culture. View a recap of the 2018 Film Festival below!